Mehera Bonner of magazine publication Marie Claire recently did a fun write-up with Ms. Grey detailing some of the things that she has on her phone. Among other things they talk oldest+newest photos, texts, notes, music, and recent purchases. Read a few excerpts below, and click the photo underneath to read the full article! Ever wondered what’s on your favorite celebrity’s phone (ya know, in a non-weird way)? 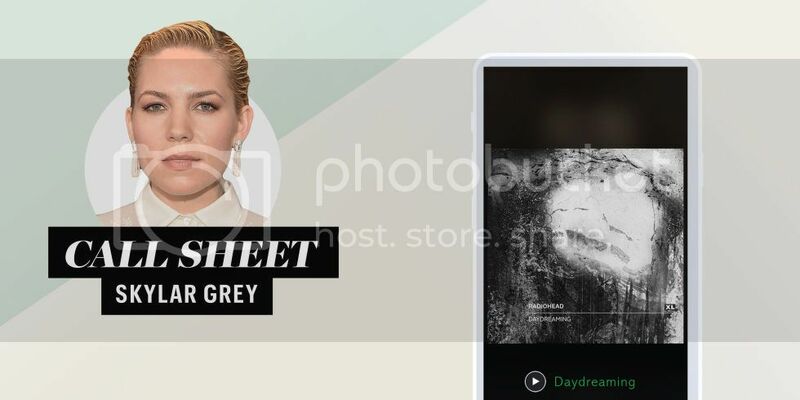 MarieClaire.com teamed up with Skylar Grey to unlock some cellular secrets, and got details on the singer’s personal texts, most embarrassing photos, and even her weirdest phone habits. Let’s collectively swipe right, shall we? Look at your camera roll—what was the last random thing you screen-grabbed? What’s your most played song on Spotify? What’s the most embarrassing photo on your phone?